1885 – Born September 17, 1885 in Pierceton, Indiana, son of Gabriel Moser and Mary Palmer. 1910 – A crop from the 1910 U. S. Federal Census showing Norbert G. Moser, born Indiana, father born Germany, mother born Illinois, occupation chief electrician, sailor, serving on the U.S.S. Virginia, Hampton Roads, Virginia (the naval base). Circa 1913 – 1919, could be December 1913, per prior post. 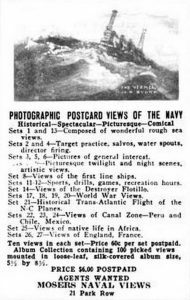 Above, an awesome view, entitled “Quarter Deck Seas” one of many photos to also appear as a Real Photo Postcard, copyright N. Moser, N.Y. Did Norbert Moser take the actual photo? Probably his navy service record would need to be ordered to get a full timeline of what ships he served on and when, in order to get a better idea. 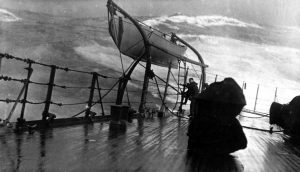 This one is described as: View looking aft on the main deck of USS Vermont (Battleship # 20), while she was steaming in heavy seas during the Nineteen “teens”. Note man standing by the ladder leading to the quarterdeck whaleboat. 1914 – May 23, 1914, Chelsea, MA, married Julia R. Hall, a Medford MA dressmaker, born about 1889 in Gardner, MA, daughter of Stephen A. Hall and Clara P. Adams. Norbert Moser’s residence address at the time of marriage was the U.S. Naval Hospital, where he is listed as an electrician. 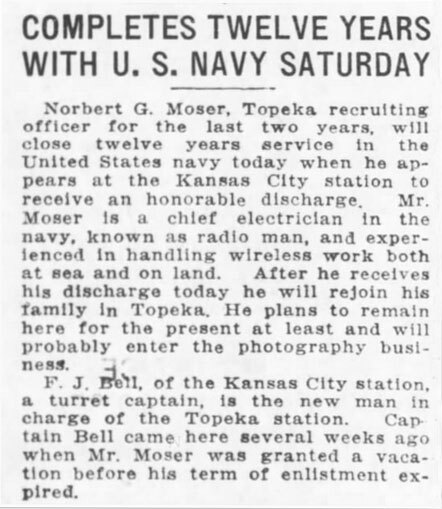 1917 – Served as chief electrician at the Naval Recruiting Station for a few days, and then on board the U.S.S. New Jersey, April 9 and discharged October 15, 1917 at Yorktown, VA.
1918 – WWI Draft Registration Card shows wife Julia, residence 1088 E. 36th St., Brooklyn NY, occupation self-employed electrician and photo work, and work address room 406 of the World Bldg., NYC. 1920 – U.S. Federal Census for N. Hempstead, Nassau County, NY. Photographer, own business. Wife Julia, born MA about 1888, children Robert, born KS about 1916; Mary, born MA about 1918; Ruth born NY about 1919. 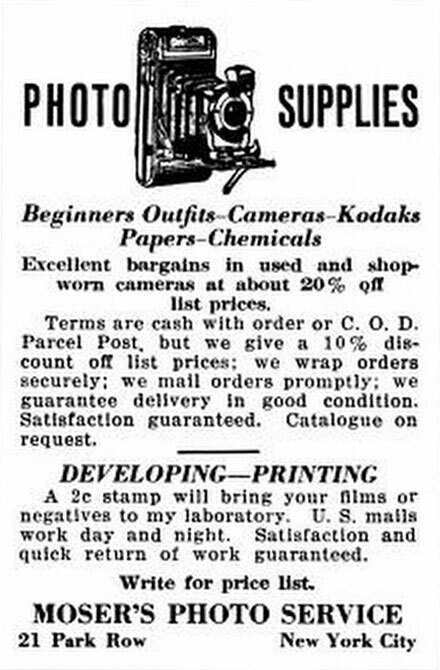 1930 – U.S. Federal Census – single, living in Chicago, agent of commercial photography. 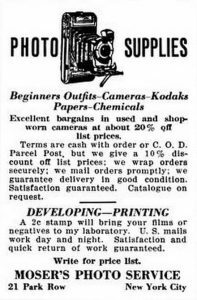 1940 – U.S. Federal Census – divorced, still living in Chicago, listed as a photographer and employer in the commercial photography field. 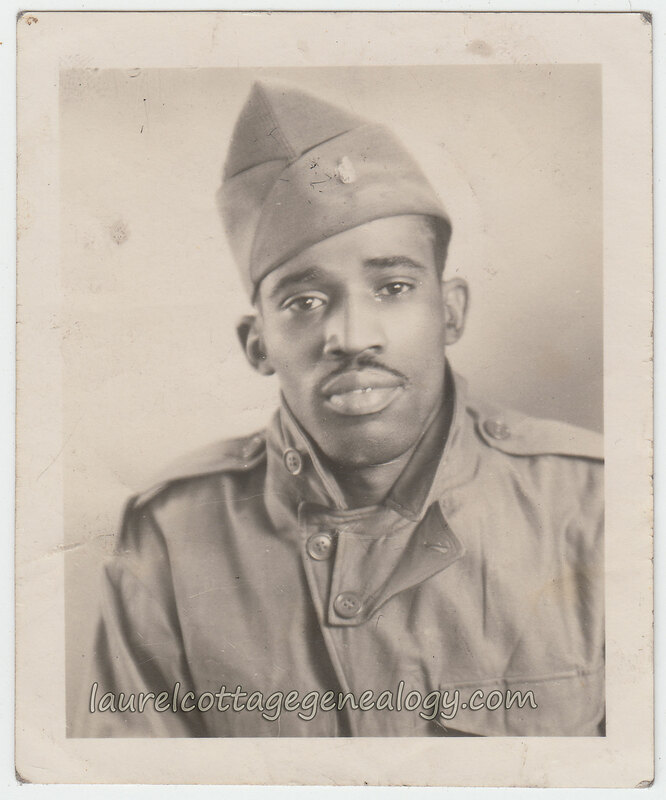 1942 – WWII Draft Registration Card – own business, 180 W. Washington St., Chicago. 1970 – Died in Los Angeles (county if not city) December 26, 1970. NH 101060 “Quarter Deck Seas” Vermont (BB-20). Naval History and Heritage Command. Catalogue #NH 101060. From the album of Francis Sargent, courtesy Commander John Condon, 1986. (web accessed November 24, 2016). “Massachusetts Marriages, 1841-1915,” database with images, FamilySearch (https://familysearch.org/ark:/61903/1:1:N4XQ-VFP : 17 February 2016), Norbert G Moser and Julia R Hall, 23 May 1914; citing Chelsea, , Massachusetts, United States, State Archives, Boston; FHL microfilm 2,409,948. 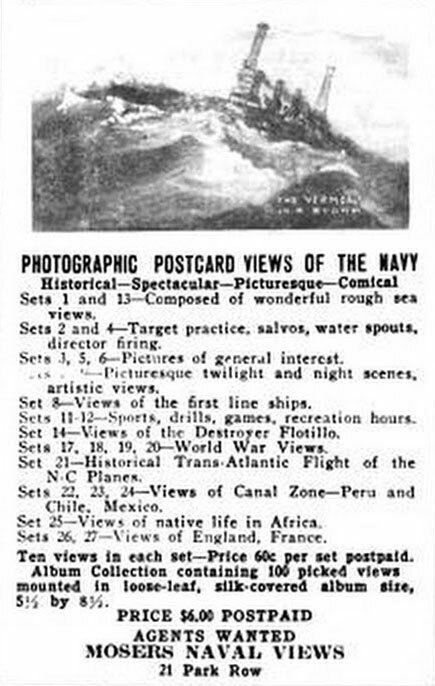 Our Navy, the Standard Publication of the United States Navy, May 1921. Volume 15. (Google eBook). “United States Census, 1930,” database with images, FamilySearch (https://familysearch.org/ark:/61903/1:1:XS5N-RBP : accessed 20 November 2016), Norbert J Moser in household of Mae B Reeck, Chicago (Districts 1751-1976), Cook, Illinois, United States; citing enumeration district (ED) ED 1808, sheet 21A, line 11, family 224, NARA microfilm publication T626 (Washington D.C.: National Archives and Records Administration, 2002), roll 491; FHL microfilm 2,340,226. 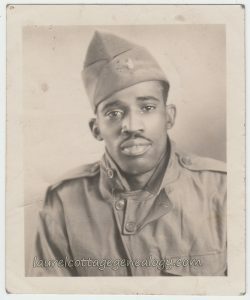 “United States World War II Draft Registration Cards, 1942,” database with images, FamilySearch (https://familysearch.org/ark:/61903/1:1:V1KC-YV3 : 7 April 2016), Norbert George Moser, 1942; citing NARA microfilm publication M1936, M1937, M1939, M1951, M1962, M1964, M1986, M2090, and M2097 (Washington D.C.: National Archives and Records Administration, n.d.). “California Death Index, 1940-1997,” database, FamilySearch (https://familysearch.org/ark:/61903/1:1:VP28-K2X : 26 November 2014), Norbert G Moser, 26 Dec 1970; Department of Public Health Services, Sacramento. 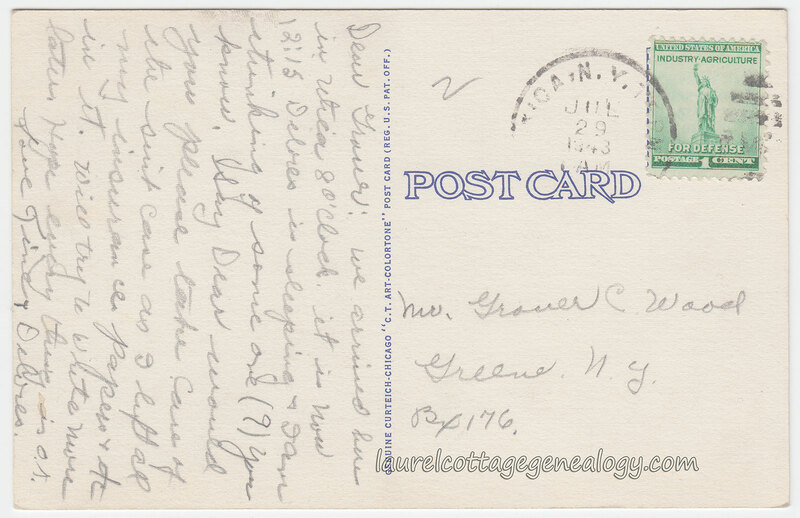 Real Photo Postcard, unused with writing. 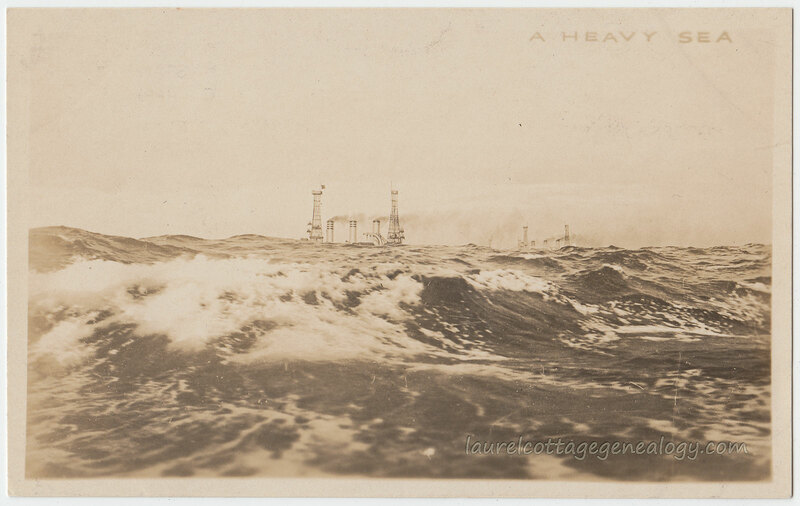 “A Heavy Sea.” Circa 1914. Photo Roto, Inc. stamp box. Photographer: unknown. 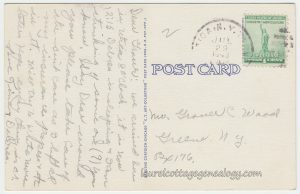 If the postcard image above was doctored somewhat before production, it would not have been unusual. (Would the smokestack stripes of the ship on our left be this clear from a distance?) 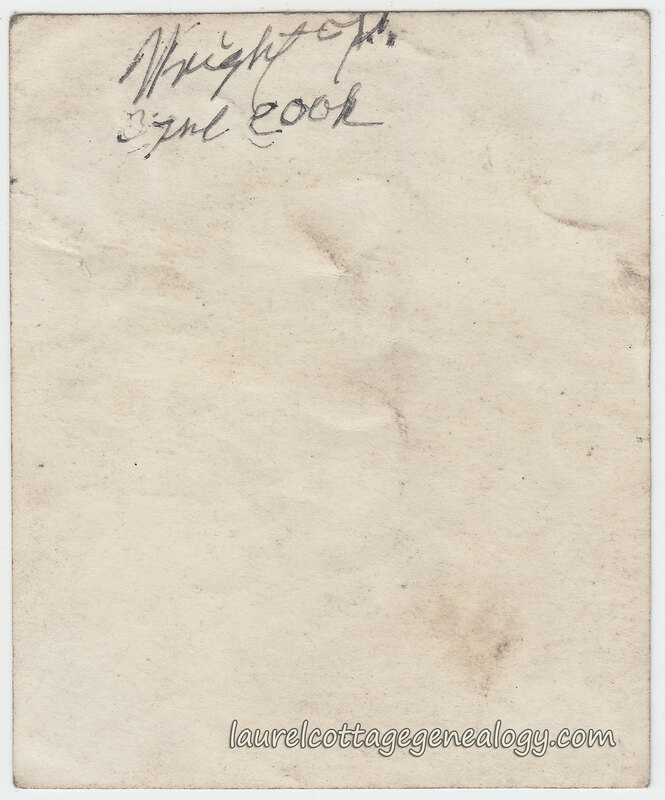 On the reverse is written, “From Back U.S.S. 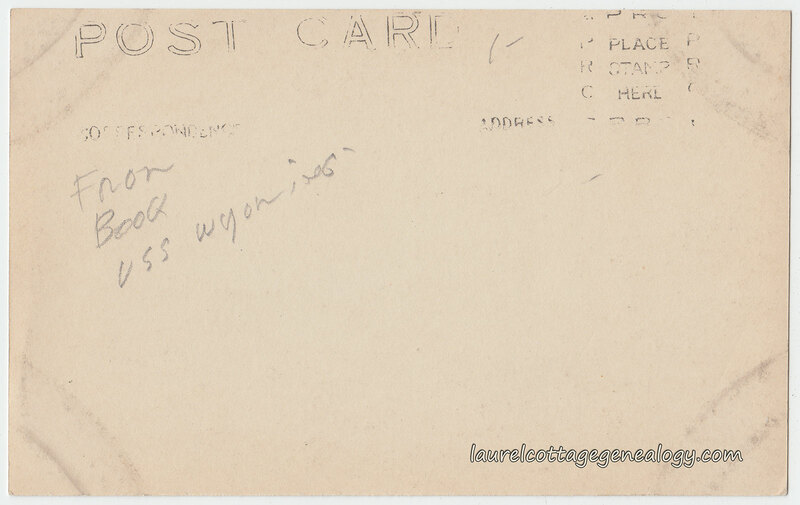 Wyoming.” In checking online for same or similar postcards, we found one at Card Cow (among other sites) of a slightly different view of the sea and ships and titled “A Heavy Sea-Way” copyrighted by N. Moser, N.Y. On the back of that card is written “USS Vermont.” So, there’s no guarantee, but a chance that we’re looking at the U.S.S. Vermont from the deck of the U.S.S. 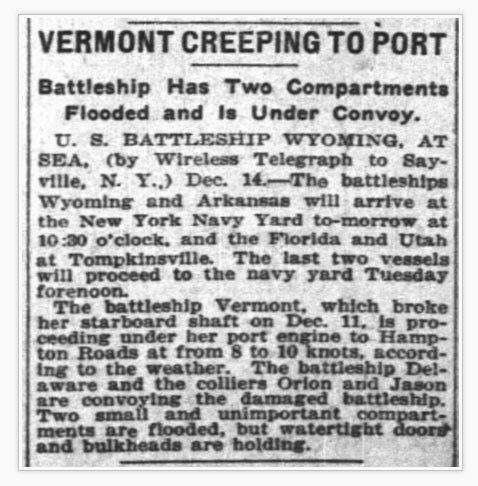 Wyoming and from further research, the original photo may have been captured during the storm that damaged Vermont in December 1913. A slightly earlier around-the-world detour….. If our postcard photo’s vantage point from on board Wyoming is correct, then the photo would not have been taken during the around-the-world voyage of the Great White Fleet, as Wyoming wasn’t on that tour. 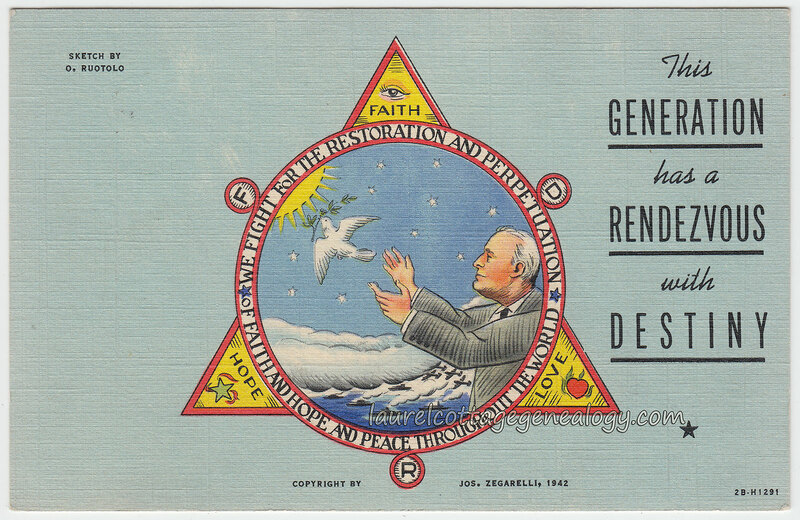 Plus, per Playle’s, the stamp box on our card is circa 1910 – 1917. But if you’ve never heard of said fleet, check it out! 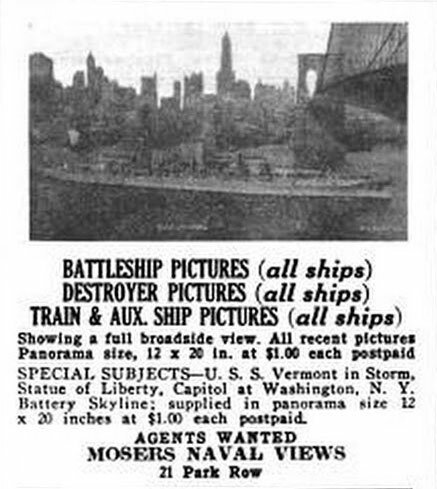 Imagine, even knowing in advance that they were on their way to your area (there must have been a lot of hoopla)……you round a bend and get your first glance at the ocean and there, like some kind of magic conjuring trick…the impressive line of sixteen U.S. battleships with hulls painted white! 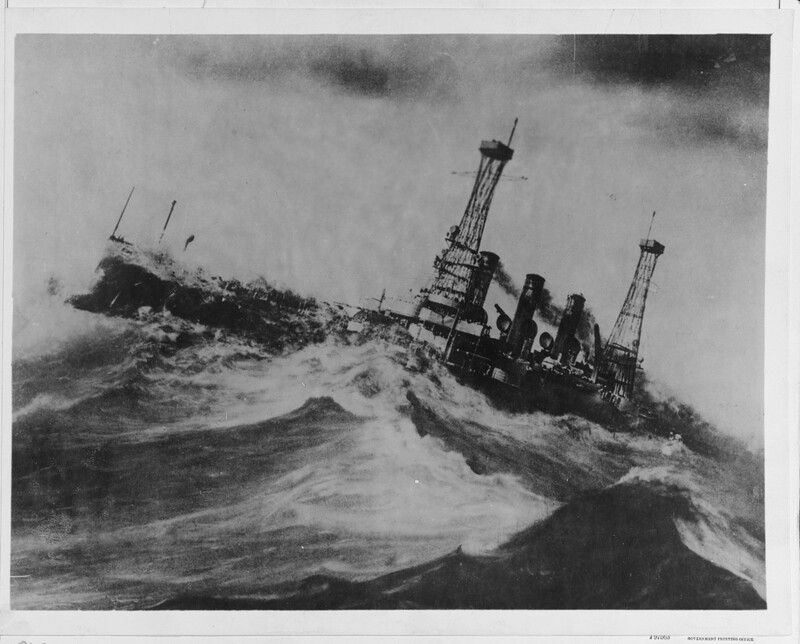 Getting back to the possible time-frame of our postcard…..
Public attention was caught by the report of heavy seas partially damaging the U.S.S. 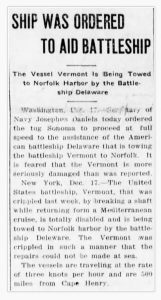 Vermont in December 1913 as she and other ships in the Atlantic Fleet, including Wyoming, were voyaging homeward. 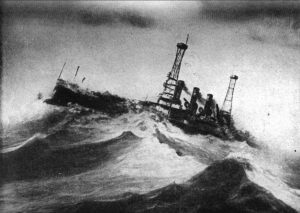 The image below of Vermont’s battle with the elements, became well-known in its day, and was published in at least two magazines (The Outlook and Popular Mechanics) as well as being made into a Real Photo Postcard. The RPPC appearing online (various sites) shows copyright N. Moser. 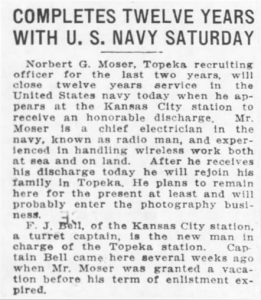 And Moser could have been the sailor that took the photo, or not. (Maybe his descendants have proof either way somewhere. We’ll put up a post for him next.) Anyway, you can see how the images below slightly vary, and one source (first example below) calls it a painting done from a photo. But maybe it was just that the publication and altering of the photo rendered something that looks more painting than photo-like. Above, from Popular Mechanics magazine, March 1914, Page 372 (courtesy Wikimedia Commons). Above, as appearing in the New York publication The Outlook on 10 January 1914. (courtesy Wikimedia Commons). U.S.S. Vermont (BB-20) in calmer water (courtesy Wikipedia). 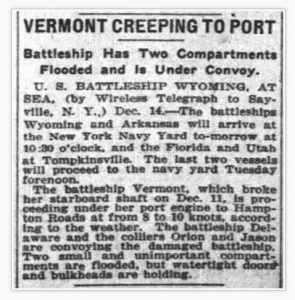 Sources: USS Wyoming (BB-32). n.d. https://en.wikipedia.org/wiki/USS_Wyoming_(BB-32) (accessed November 16, 2016). U.S. Military: Great White Fleet (Atlantic Fleet bound for the Pacific, 16 December 1907) http://search.ancestry.com/search/db.aspx?dbid=5542. (accessed November 19, 2016). Great White Fleet. n.d. https://en.wikipedia.org/wiki/Great_White_Fleet. (accessed November 16, 2016). Real Photo Postcard Stamp Boxes (P-Q). Playle.com. (accessed November 19, 2016). USS Vermont (BB-20). 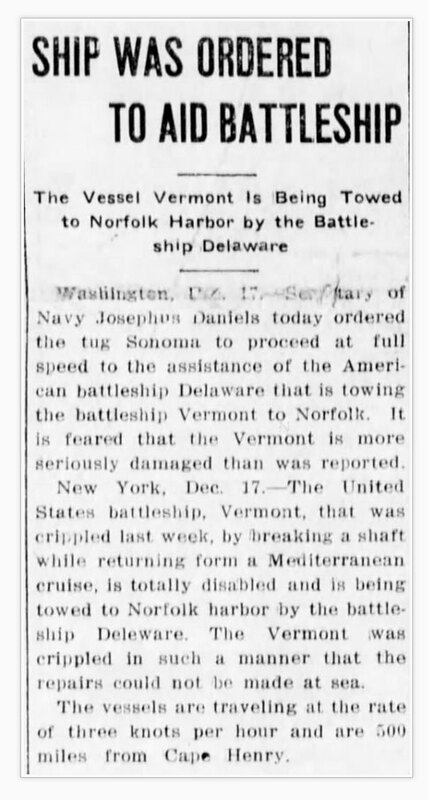 n.d. https://en.wikipedia.org/wiki/USS_Vermont_(BB-20) (accessed November 16, 2016). “NH 60506 USS VERMONT (BB-20) – Painting of a ship In a storm.” Naval History and Heritage Command. (accessed November 19, 2016). File: USS Vermont (BB-20) Returning home from Med Cruise 1913.JPG. 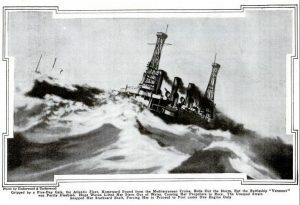 n.d. https://commons.wikimedia.org/wiki/File:USS_Vermont_(BB-20)_Returning_home_from_Med_Cruise_1913.JPG. (accessed November 19, 2016). Divided back, artist-signed postcard with actual artist signature on reverse. Artist: Angus Henry Shortt. 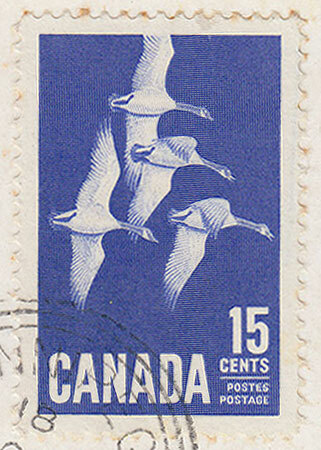 Reverse includes postage stamp designed from the artist’s work, with postage cancellation mark, Winnipeg, 1963. Publisher: K. Bileski, Station B, Winnipeg, Canada. You’ll notice that the postage stamp’s design is that of the four geese in the postcard which was taken from one of Angus Shortt’s paintings, but if you look closely at the enlargement of the stamp above, you’ll see that the placement of the geese, and the geese themselves are not identical. We found a 1948 vintage bookplate art print for sale on eBay and wonder if that image (though quite a bit different) was the original that the card and stamp were designed from, and if so, if it was the artist or the publisher (with artist’s permission?) that did the re-designing, or if there was another painting they were taken from. 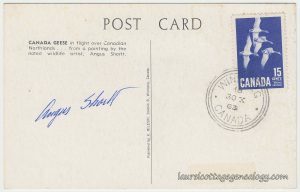 Just wondering briefly in passing….Here’s a short bio from Memorable Manitobans: Angus Henry Shortt (1908 – 2006). 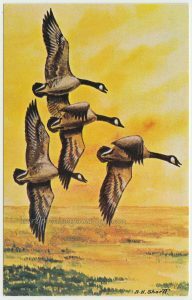 And in noticing which birds are honking and which not in the images above….gosh this brings back memories of being outside and….what’s that noise?…looking up and seeing the “V”….ahhhh! 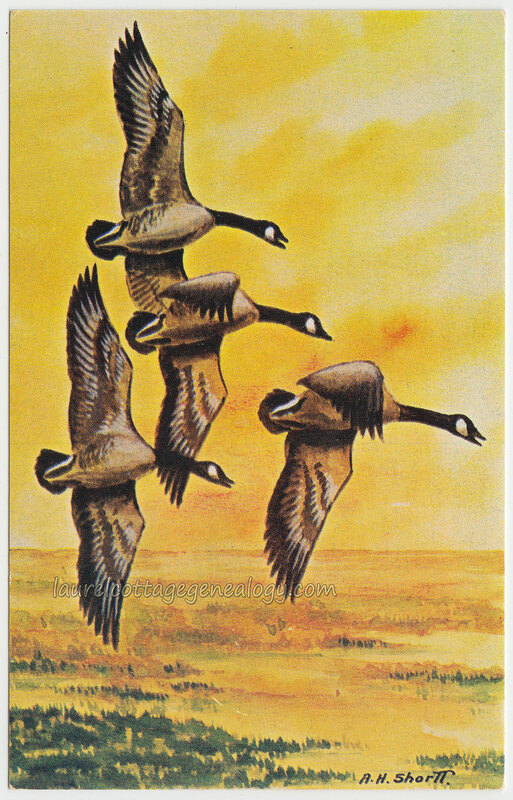 a whole flock of Canada Geese on their way (south, I guess), many honking in flight. What a glorious sight and sound! Source: Goldsborough, Gordon. “Memorable Manitobans: Angus Henry Shortt (1908 – 2006)” Memorable Manitobans, December 23, 2014 (revised). (accessed November 10, 2016).